Town launches public education campaign highlighting safety in Newmarket school zones. 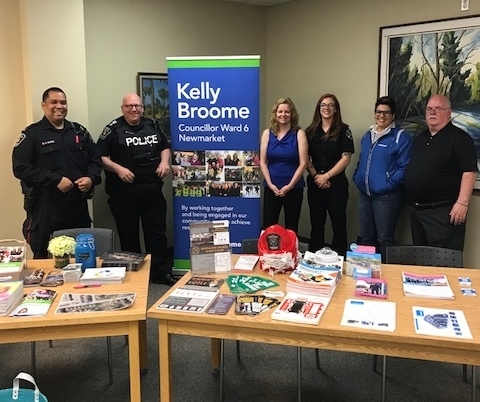 With children back to school from March Break and the spring season upon us, Town of Newmarket Bylaw Officers will be making their way around town, conducting a public education campaign in school zones. It's on our roads. Fast. Very dangerous. And it can deliver a bone-crushing collision. It's your phone, and you need to put it down. York Regional Police target five preventable offences that contribute to death and serious injury on our roadways. York Regional Police reminds all motorists to drive defensively and courteously. Obey school zone speed limited and crossing guards. Watch carefully for enthusiastic children who may not be watching themselves. Avoid speeding in residential neighbourhoods and obey the laws governing school buses. The objective of this public education campaign is to educate Newmarket drivers on the rules of the road in school zones and ensure that they are obeying traffic signs, adhering to the kiss and ride program, looking and listening for crossing guards’ stop signs and whistles and respecting neighbours’ properties who live in the vicinity of a school zone. The Town of Newmarket’s traffic safety mascot, Safety Cone Sam reminds commuters to keep the following school zone, pedestrian, cyclist and motor safety tips in mind as children walk, bike or are driven to school. For more information, view our Public Service Announcement.